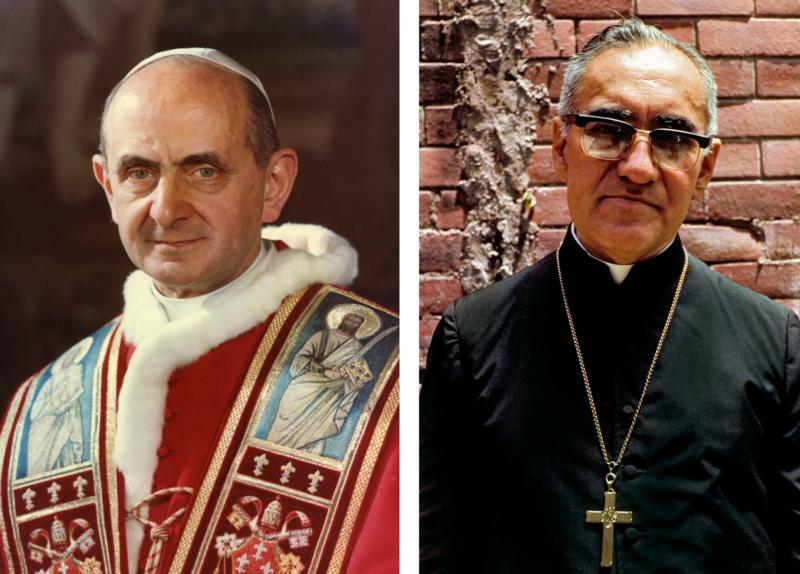 VATICAN CITY (CNS) — Pope Francis will declare Blesseds Oscar Romero, Paul VI and four others saints Oct. 14 at the Vatican during the meeting of the world Synod of Bishops, an institution Blessed Paul revived. The date was announced May 19 during an “ordinary public consistory,” a meeting of the pope, cardinals and promoters of sainthood causes that formally ends the sainthood process. While Catholics inside and outside El Salvador recognized him as a martyr immediately, his sainthood cause was stalled for years as some church leaders debated whether he was killed for his faith or for his politics. In February 2015 Pope Francis signed the formal decree recognizing Blessed Romero’s martyrdom; the Salvadoran archbishop was beatified three months later in San Salvador. The Salvadoran bishops’ conference and many Salvadorans had hoped Pope Francis would preside over the canonization in San Salvador, particularly because of the difficulty and expense of traveling to Rome. Others, however, argued that holding the ceremony at the Vatican makes it clear that Blessed Romero is a saint for the entire church, not just for the church in El Salvador. The other men and women to be canonized include: Father Francesco Spinelli of Italy, founder of the Sisters Adorers of the Blessed Sacrament; Father Vincenzo Romano, who worked with the poor of Naples, Italy, until his death in 1831; Mother Catherine Kasper, the German founder of the religious congregation, the Poor Handmaids of Jesus Christ; and Nazaria Ignacia March Mesa, the Spanish founder of the Congregation of the Missionary Crusaders of the Church.